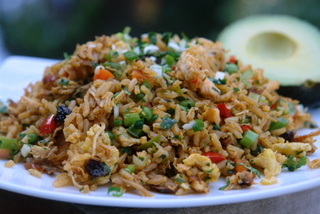 This recipe for chaulafan de pollo or Ecuadorian style chicken fried rice is made with chicken, rice, bacon, onions, garlic, peppers, bell peppers, peas, carrots, scrambled eggs, raisins, spices and herbs. 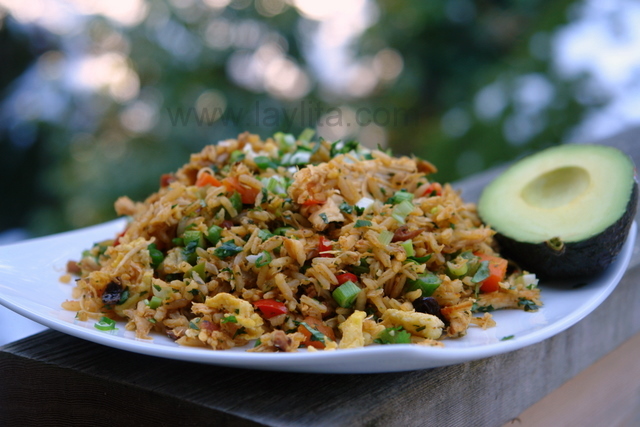 Chaulafan is the Ecuadorian version of fried rice. 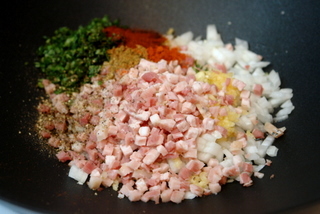 There are many different types of chaulafan: shrimp, chicken, pork, mixed. In most major cities in Ecuador you will find chifas or Chinese restaurants, these are usually the best places to eat chaulafan. You can either eat at the restaurant or take it to go. 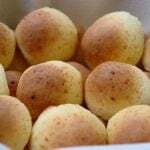 When I was in high school in Loja, there was a chifa right across from the home of one of my best friends; it always made me so hungry every time I walked by that place. 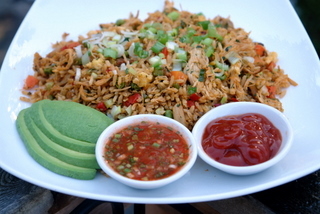 Chaulafan de pollo is an Ecuadorian chicken fried rice made with rice, chicken, bacon, onions, garlic, peppers, bell peppers, peas, carrots, scrambled eggs, raisins, spices and herbs. To cook the rice, heat the butter or oil, add the onions and the rice, stir well. 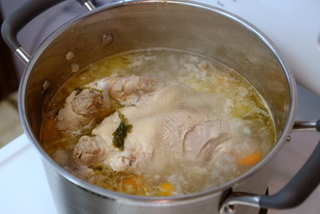 Then add the broth, bring to a boil, then reduce heat to low, cover and simmer for about 20 minutes. Heat 2-3 tbs butter or oil over medium heat in a large pan to prepare a refrito or base for the chaulafan. Serve with avocado slices, aji or hot sauce, pickled red onions or curtido, and ketchup (or spicy ketchup). 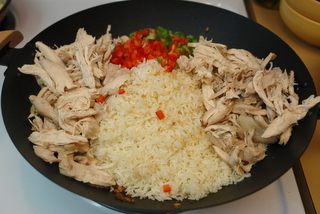 Some time ago I posted a recipe for arroz on pollo or chicken rice. 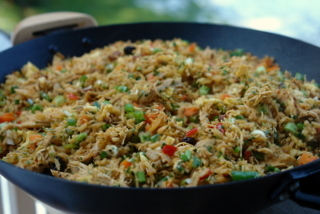 While it was popular and I received good feedback on that recipe, the most common feedback was along the lines of “this is great, but where’s the other arroz con pollo or chaulafan de pollo?”. I’ve been meaning to post this for a while, sorry it’s so late for those requested it (but better late than never, right?). As I mentioned before, this particular chaulafan de pollo is very popular and is also known as arroz con pollo or rice with chicken. 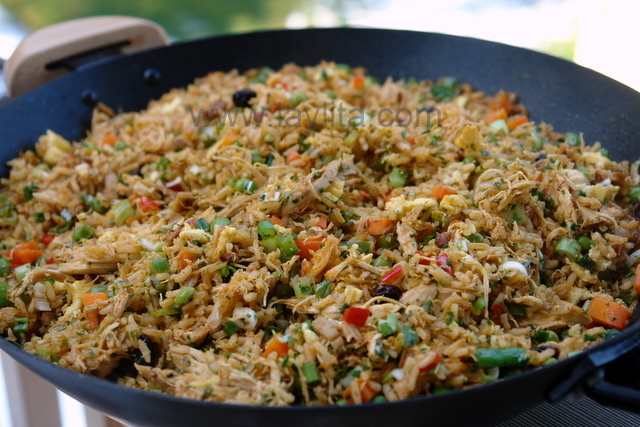 Another very popular chaulafan is one that has a combination of chicken, ham and pork. I did add a small amount of pancetta or bacon to this chaulafan, but feel free to leave it out if you don’t eat pork. 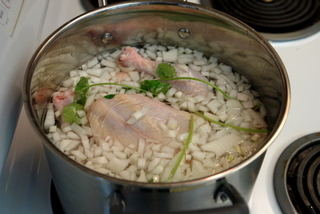 One of my favorite parts about making this chaulafan is making the broth, it smells so good and reminds me of consome de pollo – a very tasty and simple chicken broth served with or without a piece of chicken plus chopped green onions and cilantro. It also reminds how great homemade chicken broth is, I always say that if I had enough free time I would never buy store bought broth again. 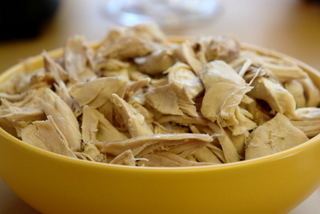 However, that is never the case and taking busy schedules into consideration, for those who want to make a quick variation of this chaulafan you can use the meat from a store bought rotisserie chicken plus store bought chicken broth. I recommend serving this with avocado slices, hot sauce and some ketchup (yes, ketchup, if you have the spicy type it is the best). In the directions for making the chaulafan I see where you use the first 2-3 tbsp of oil/butter but I don’t see anywhere for the second 3 tbsp of butter … when do you add that? Sorry that was meant to be for the rice – I’m correcting the recipe right now. I’m American but my husband is from Ecuador, I made this as chaulafan is my favorite, I invited his family and they loved it, my sister in law said it was better than her moms lol thanks so much for this site! Me gustó mucho el cilantro; mi sabor favorito es el cilantro. No utilizo el tocino, caldo de pollo o gallina, y la receta era muy delicioso y muy fácil de hacer vegetariana. En lugar de caldo de pollo, he utilizado caldo de verduras. Porque no tengo que utilizar la carne, la receta fue muy rápida. Las especias eran perfectas para condimentar el arroz. Había un muy buen sabor. De aguacate es una buena idea. Where do you find Worcester sauce in Ecuador? I live in cuenca but haven’t seen it anywhere here. Hi Alicia – It’s called Salsa Inglesa in Spanish, most supermarkets should sell it. This is one of my favorite dishes to eat when I’m in Ecuador! I took some shortcuts, using boneless chicken thighs and cooked my rice in the microwave, but it came out so delicious! Also, I recommend using Sesame Oil. I am so thankful to find your site and these delicious recipes. Thank you! This is the most amazing cross cultural dish. I found this site googling Chimichurri recipes and then delved around. 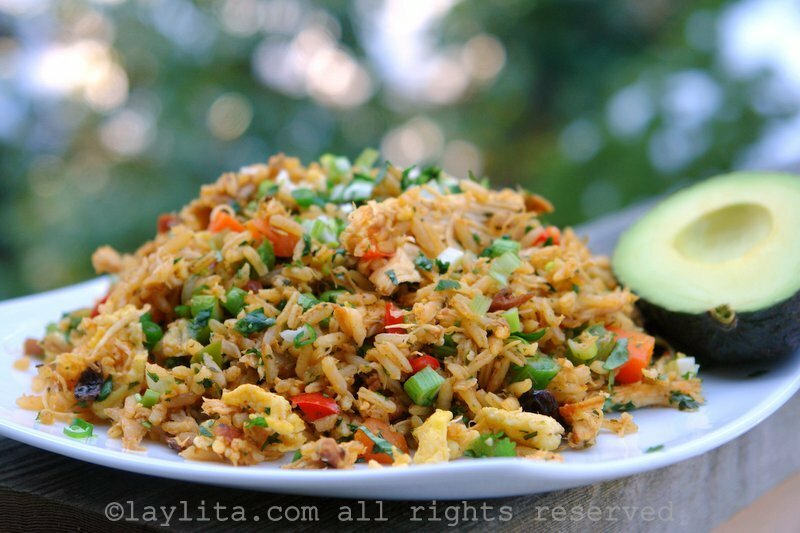 I grew up in Hong Kong and the Cantonese for Fried Rice is Chow Fun, that there is an Ecuadorean dish with a Spanish interpretation, Chaulafan, of the Cantonese in an amazing cross cultural find. I was in the Peace Corps inEcuador, and in Chone, my first site was a gentleman from China,sent there in the hold of a ship when he thought he was going to S. China to work, but ended up in Ecuador where he married an Ecuadorian woman and took her family name. I lived on Chaulafan-heaven. This family and other Chinese-Ecuadorean famiies literally saved me on more than one occasion. I could never be grateful enough, food, friendship, and care. Just made it for my family, they loved it. I bought the rotisserie chicken and cooked the rest. Thank you for helping me share ecuadorian food with my family. Love the step to step instructions. Can’t wait to try the other recipes. I lived in Chone, Manabi in 1965. Every day I had Chaulafan at a small Chinese/Ecuadorian hotel with a restuarant. I was a Peace Corps Volunteer. Just seeing the photo brings back all the memories. Mrs. Garcia, the owner took her name as it was too difficult to say his Chinese name, did the scrambled on a huge flat skillet. Then she took the crepe like eggs and rolled them into a wide tube. She sliced them in thin slices and scattered the rings on the Chaulafan. They were a wonderful family and I ate there and then visited with the Miinchong family who was also fantatic. I have to go eat something tonight as looking at the photo, well I just can’t explain. I’m now 72 and I think of Ecuador just about each day! Thanks for the memories. I made this recipe for a holiday lunch with my ecuadorian husband and my family. It turned out lovely paired with platanos maduros, avocado, and tree tomato aji (also your recipe!). We topped things off with Rosanna’s tiramisu. So happy that I was able to bring my husband a piece of home, while he is so far away from his family during the holidays! I made this recipe and we LOVE it!!!! It was perfect. I love your website and recipes .Thank You. JUST WANTED TO SAY THAT I MADE THIS AND IT CAME OUT PERFECT, I ATE IT FOR AN ENTIRE WEEK AND EVERYTIME I ATE IT I HAD TO GO BACK FOR A SECOND PLATE, YUM. 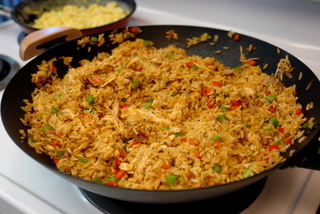 I love this version of fried rice, especially because you’re adding the broth from the boiled chicken- it adds so much flavor! Looking at the ingredients list, it looks daunting, but as you put it together, it’s easy. I love this rice when i lived in Ecuador my mother always cooked for us,still do also i learn to cook for my family,they love it!! I made this last summer and it was delicious. Thanks for the recipe! I will be making it again very soon. :-) You have a wonderful website and beautiful photographs. I can’t believe I only just found your blog! This recipe is one I will definitely have to try. I came across your website looking for an empanada dough recipe (via Epicurious.com) and immediately decided I was following your recipe, mostly because you are a Seattleite like me! I can’t wait to browse the rest of your blog, and am a little sad to see you don’t post as regularly anymore. I hope you don’t mind me linking to your blog via my own, when I update about dinner tonight, I will point people to your empanada recipe. I like to give credit, where credit is due. My husband is Ecuadorian and I appreciate your recipes as he gets homesick for the tastes of South America. Thank you for taking the time and effort to make this site. I am going to bookmark it right now. I made this with rotisserie chicken, and it turned out great! I made half a recipe and it was enough for at least 6 servings. I was a little skeptical about the raisins but they added just the right touch of sweetness to balance the spice, similar with the ketchup. I love all the spices and herbs in your recipes – all the ones I have made have great flavor! I feel like I came to the table late. I was researching how to cook with achiote molido. Until now, I have just used it to dye fiber. (I am cooking chicken, and it is wonderful with this spice.). This recipe, however, thrills me to death. It is my next project. Thank you for the great, detailed information and the wonderful, informative photos! I am cooking this dish as we speak for my Ecuadorean meal in my Around the World in an RV project that I’ve been doing for my blog. Just making the broth made my little fifth wheel smell incredible and I can’t wait to dig in. I also made Aji and your pickled onion recipe to go with it. This along with your shrimp ceviche and potato salad recipes and I think this RV park is going to be fat & sassy!! Thanks for posting great recipes! I am from Dominican Republic and we make a very very similar dish called Chofán. This dish is always a hit in my home! Thanks for posting the recipe. 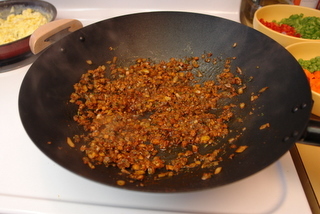 Chaulafan is a Chinese translation of Fried-Spicy-Rice. Correct me if I’m wrong. I enjoyed making empanada using your recipe. Thanks for sharing. Hi, I just wanted to start off by saying I don’t normally post to websites or blogs but your recipes deserve a comment! I have made this twice, and it has came out awesome… Great receipe..
Looks awesome! I had forgotten all about this dish until now. I’ve had it once (and it was heavenly) but have never made it; the time has come! I love this recipe. I am Ecuadorian living in Va married to American and this web site help me so much, what kind of soy sauce is? i have found a brand kikkoman do you think does it work? or which brand do you advice me? I’m cooking this at the moment Its looking and smelling soooo good. Saludos desde Loja, y muchas felicitaciones por tu pagina. Este Chaulafan se ve mas apetitoso que los que preparan en los Chifas aquí. I am so glad I stumbled on to this blog. God all mighty, the recipes are great, but I think it’s the fantastic appetizing photography that’s got me hooked. 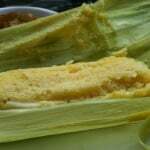 I have this bookmarked and the first thing I want to make is the corn breads in the husk, humitas. This dish is a really great one. I did extra credit for a spanish class I took in high shcool and it was very delicious and everybody loved it. With all the different flavors corresponding with each other from the spices to the sweet raisins it all came together. Wow!! Thank you for posting this recipe! I am enjoying it right at this moment. First time cooking it. This reciped looks delicious…I’m going to try this one as I’m trying to cook with my mom present so that I can get them all down to pass them onto my daughter and family. Laylita, feeling at a loss with what to do with my chiken – bored of the usual suspects -I found this recipe and gave it a whirl! Oh my it was scrumptious!! The new family favourite! 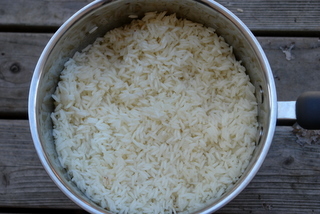 There was one thing – my rice burnt ( cooked on low) do you stir in the cooking process as I left? thankyou for a delightful dinner! Wondering if your going to be posting any more? I hope you return because I love your recipes and food advice! I just found your blog while i was looking for a locro de papas recipe. I spent a month studying in ecuador, and i absolutely fell in love with the food there! thanks so much for putting this up here! I was smelling this rice as I was reading your post. I am so interested in Ecuadorian food. Too bad there are no good Ecuadorian restaurants in Dallas! 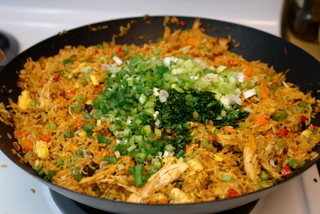 I love Chaulafan, I haven’t made it myself yet never knew the recipe but I think im going to try! I get Chaulafan from an ecuadorian restraunt down the street from my house all the time. thank you for taken the time to put it together. I was wondering the same thing, Juliana! Hi all. I made Laylita’s empanadas last night! Great recipe. Tks. By the way…Where is Laylita? Hi Juliana – I’ve been working a lot (started a new job in June and have grossly neglected this blog as a result), but will try to start posting more frequently (have a ton of recipes to post just no time to edit photos or write). Oh, man, this looks like something I def want to eat!!! YUM! The pressure is on for Guillermo to make me some arroz con pollo! I’m going to send him this recipe. wanted to let you know I linked to you in my post today–keep up the great work! What a wonderful dish! Love the photos also! Oh my gosh, as gorgeous as ever! I’m redoing my blogroll for the new blog and realized it’s been a while. Adding you to the list (I’m working on it as we speak). This looks amazing, and I *think* I can veganize it. Love it! I just made it! It’s AMZING – But i have to say the kick is when you eat it with the aji crillo – superb!! Please can I have permission to add it to my recipe list =) – this is such a keeper. BTW – I wasn’t able to find the achiote in the regular grocery stores, someone told me to substitute turmeric and saffrom. Is achiote the same as annato? Hi Zaara-Yes, achiote is the same as annato. I’ve also substituted paprika for achiote when I couldn’t find achiote. Es increible lo similar en la cocina Ecuatoriana y la Colombiana. Me encanta tu blog y tus fotos…..yo creo que quiero comer cada plato de los que tienes en tu pagina. Igual que tu tambien tengo un blog en ingles sobre comida Colombiana. Love, love and love your blog. Soy de Ecuador tambien pero vivo en Alaska. No tengo palabras para describir la emocion que senti al encontrar tus recetas. Encontre tu blog buscando por Guatita! Thank you for sharing your wonderful recipes with us!! I’m trying to teach my two girls how to cook and I was running out of recipes until now. I’m discovering new plates that I had heard of but never tried. I’m so jealous! How on earth can you make ‘rice’ look that good!!!! I’ll definitely be making this soon, looks great. Finding nice food/cooking sites is always a pleasure! This looks so delicious. I’m definitely going to try it. Just one question: you don’t chill the rice overnight like in most fried rice recipes? Doesn’t it get sticky? Hi Amy – I didn’t chill the rice at all, I use long grain rice and also the way I cook it keeps it from getting sticky. I want to tell you that I’m hosting an empanada making party inspired by your gorgeous blog and recipes. I’m going to try my best w/ your dough recipes and the others will bring their own fillings and we will bake away! I’m sending my partygoers to your site for ideas and inspiration. This rice dish looks INCREDIBLE. I wish I had some for dinner tonight. Yummmmmy!!! Did you use regular long grain rice or Chinese rice ? this looks so good. Thanks! I used long grain rice. ¡Vamos a la chifa! When my wife and I went back to Ecuador in 2007…our last night in Quito, I had to find a Chifa so I could have some Ecuatorian Chaulofan. It was one of the best meals of our trip!! OH…my goodness!!!! This looks sooooo delicious! I have friends coming over this weekend and I was having problems thinking what to cook for them. I will definitely prepare this dish. Yummy! Thank you, Laylita. I am eager to make this, but is “hot pepper powder” the same as cayenne powder? And 2 Tablespoons? That sounds so extreme. And I love hot food. Hi Susan – In Ecuador we have a a hot pepper powder that is very mild, the hot pepper powder is used both for flavor as well as to add some color to the dish. 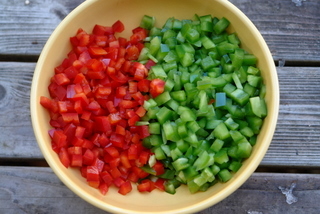 You can use your favorite hot pepper powder and adjust the amount base on how spicy you want it. You can also just use paprika if you prefer. 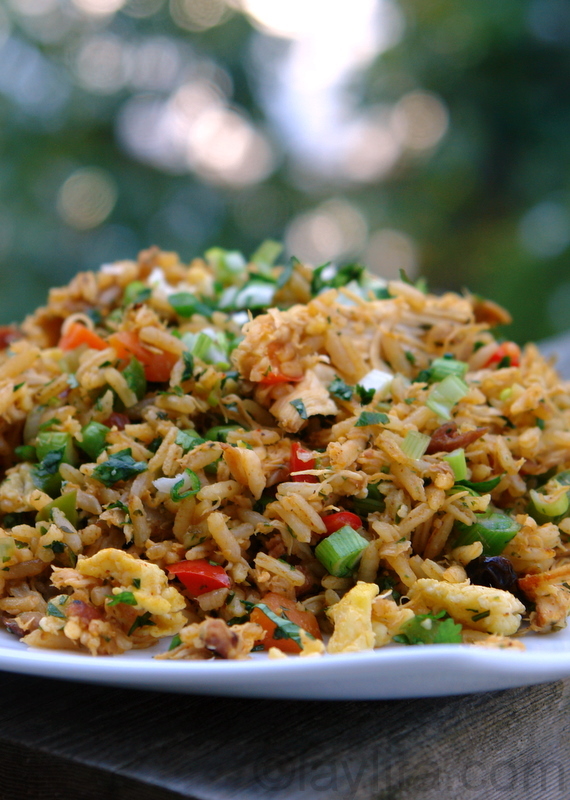 I love all kinds of fried rice and have been known to eat fried rice for breakfast on a regular basis (simple egg fried rice)…. 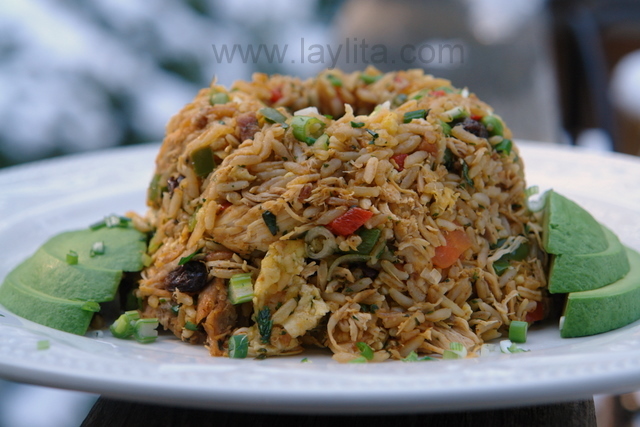 Your fried rice looks amazingly flavourful. Definitely a great party dish. 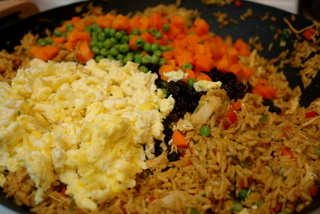 This is a elaborate version of the fried rice. In Indian cuisine we make Biryani which is equally elaborate as this one. Beautiful clicks. That looks amazing, and the photographs are beautiful. I like the idea of raisins in arroz chaufa. 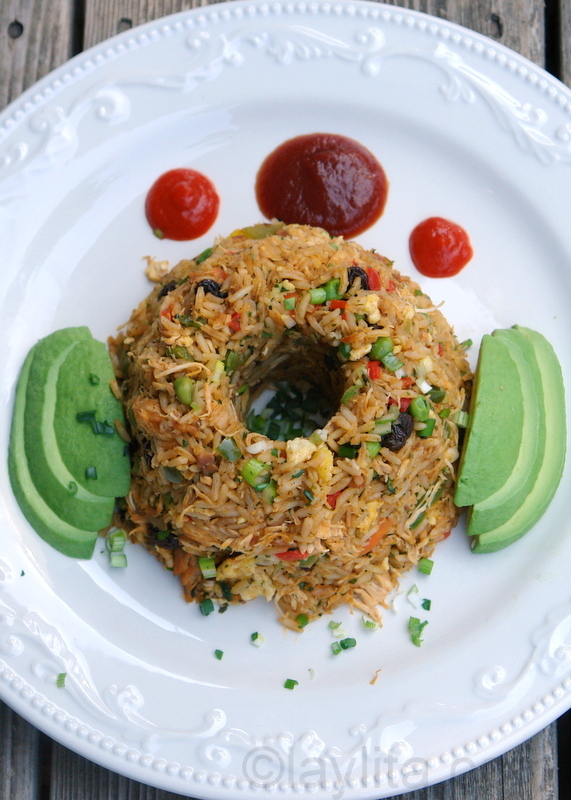 Wow – this is the most elaborate fried rice I’ve ever seen! Even we Chinese don’t usually use broth to cook the rice. But this looks so so so delicious! I’m so going to make this dish! Thanks! What a flavorful dish! Very appetizing! Another luscious recipe, thank you so much for sharing your vision and your expertise! Your photos are so beautiful – have you done a post about what equipment and lenses etc, that you use to make your images? It would be so great to learn more baout how you make such gorgeous pictures… of course, a lot just comes down to your ‘eye’ and your own particular styling, but if you feel like sharing some of your artistic secrets, I’m sure many of your followers would be all ears and eyes!